Whimsical feelings fly away and are replaced by deeper emotions while the New Moon in watery Cancer on June 23, 2017, encourages us to nurture those we love. Ironically, our own needs may go unmet if we keep our feelings private. The New Moon forms an anxious aspect with romantic Venus, revealing relationship dissatisfaction. Emotions are strengthened, but we might withhold them until we feel safe and secure. Nevertheless, we are amazed when a magical path appears in front of us, since we might not understand its origins or its destinations. A steadying Venus-Saturn connection emboldens us to show off our diplomatic skills in an inoffensive manner. Our willingness to mediate conflicts and heal wounds comes at a very delicate time, when the thankless task of caring for others is overlooked by many. 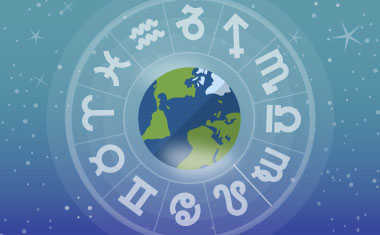 Don't be afraid of embodying the essence of the New Moon in sensitive Cancer by being extra kind to everyone you meet. Get your personalized Moon Report now to see how the Moon impacts the way you live and love every day. Communicating your needs is essential in a relationship, but your tendency to be overly blunt can create an awkward dynamic. You are eager to make something special happen, yet the cautious Cancer New Moon in your 4th House of Security leaves you uncertain on how to move the energy forward. Don't overpower your desires with intentions. Listen to your intuition if it tells you to wait. Nothing positive is gained by pushing your agenda too soon. You have little desire to do more than is necessary, so you might spend much of your time sticking close to familiar routines. You can turn a busy calendar into a quiet day, yet you still have something to say while the reflective Cancer New Moon occupies your 3rd House of Communication. Speaking your mind is certainly warranted, but listening to the feedback helps you improve your message. Everyone feels included when there is an equal give and take in their interactions with you. The most successful conversation is a two-way street. You could use a healthy dose of peace and quiet. Although there may be social activities on your calendar, you are also advised to carve out some time to be alone. However, this isn't about being isolated or lonely. Instead, it is about listening to your own inner voice, which can all too often get drowned out by the everyday noise of life. Thankfully, the contemplative Cancer New Moon sinks into your 2nd House of Self-Worth, redirecting your efforts to build your self-esteem. A day spent in meditation leaves you feeling rejuvenated and ready to mingle with others once again. As soon as you're finished working, get outside and catch some critical solar rays. Perhaps you could make time for some summer reading or light gardening. And even if you're not inclined to worship the Sun directly, at least make sure you utilize the New Moon in your sign to revitalize your soul. There's no need to worry about accomplishing your goals. Just enjoy the experience of swimming around in the sea of your colorful inner world. John Keats wrote, "The poetry of the earth is never dead." You have intense desires that are seething just beneath the surface. Often you Lions are quite direct in your delivery, but a more secretive mood comes over you while the timid Cancer New Moon lingers in your 12th House of Spiritual Mystery. You don't need to act on every emotion, but neither do you have to deny your feelings, even if they further complicate your life. It's wiser to preemptively deal with a troublesome issue than it is to stay quiet. Jack Welch said, "Control your own destiny or someone else will." Hanging out with your friends sounds like a lovely idea when the Cancer New Moon falls in your 11th House of Companions. However, something may hold you back at the last minute. Maybe you're busier than you expected, leaving you too tired to play. Remember not to spread yourself too thin since you are prone to be more sensitive if you're lacking in sleep. If you end up partaking in social frivolities, at least make it a low-key event. Save your energy for when you need it. Starve your distractions; feed your focus. Your ideal scenario consists of you luxuriating in the privacy of your home without the need to go anywhere at all. But unfortunately, reality doesn't let you off the hook so easily while the Cancer New Moon rattles your 10th House of Status. Ironically, you could be called upon to take responsibility for someone else and you must have the presence of mind to rise to the occasion. Nevertheless, you also possess invisible boundaries and still feel protected within your own shell, without the need to draw others into your world. Tom Hanks said, "A hero is somebody who voluntarily walks into the unknown." Your ever-changing moods carry you into unfamiliar waters as the Cancer New Moon stirs your 9th House of Adventure. There is a haunting familiarity to the landscape, whether or not you are eager to start the next chapter of your story. You can't tell if you have been here before or if it is only a place that you visited in your dreams. Pay careful attention to all the details, for signs appear everywhere pointing to your future. Mary Oliver wrote, "Keep some room in your heart for the unimaginable." Your nerves are likely on edge, especially if you're lured into an emotional drama beyond your comfort zone. Short of booking a last-minute ticket on an airplane, there isn't much that you can do to avoid the intensity of the Cancer New Moon landing in your 8th House of Intimacy. Forget about trying to escape; it's out of the question. Sink into your feelings, armed with the knowledge that they will lighten again soon. John C. Maxwell wrote, "Change is inevitable. Growth is optional." You ambitious Mountain Goats strive for stability, even while you are relentlessly climbing higher and higher. However, you don't feel as sure-footed as you appear. Reach out to others for support while the Cancer New Moon floods your 7th House of Partnerships. Emotional waters are swirling around your feet, making the rocks rather slippery. Swim through the mixed feelings, but don't try to cling to any of them along the way. Follow your heart to successfully navigate any storm. You can sense a cosmic shift that takes you from the highest thoughts into the deepest pool of feelings. Try as you might to separate out the intricate strands of emotions, they seem to be interwoven as the Cancer New Moon settles into your 6th House of Details. You may feel as if this emotional fabric is so heavy that it's an unfair burden. However, you're still advised to proudly wear it as if it were your own. Paradoxically, graciously accepting your obligations magically lightens your load. You might wish you could start anew with respect to love, but you don't need to walk away from a healthy relationship to do so. 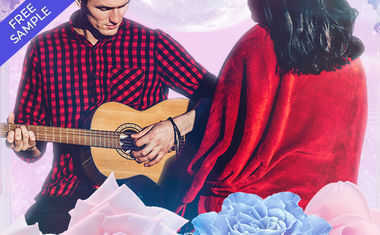 The nurturing Cancer New Moon softens your 5th House of Self-Expression, consciously infusing your passions into a partnership and adding magic to your romantic game. However, if you're single, you may be hesitant to get involved with anyone for fear of getting hurt. Creig Crippen wrote, "You will see in the world what you carry in your heart."